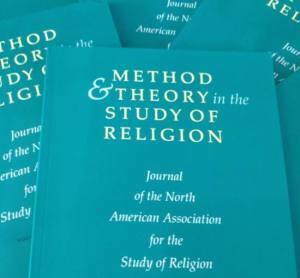 If you pick up the most recent issue of the venerable journal Method and Theory in the Study of Religion you will find three essays from REL faculty discussing the recently published Norton Anthology of World Religion. Rather than a simple review of the multivolume work, the essays from Merinda Simmons, Nathan Loewen, and Mike Altman consider what the publication of the anthology means for the larger field of religious studies. Each essay puts the anthology into a larger context of how scholars research and teach about religion. Curious what they said? Abstracts and links for the essays are below. This brief review of The Norton Anthology of World Religions uses the anthology as an occasion to consider the poststructuralist analytical offerings of what came to be known as the canon wars in literary studies, suggesting that the academic field of religious studies would be well-served to engage in its own canon wars. Doing so would begin to deconstruct in productive ways the protectionist and/or descriptive stance too many scholars of religion have in relation to their objects of study. The classroom has potential to be the most common context for the dissemination of method and theory in religious studies. Scholars have the ability to perform scholarly competencies in their teaching venues such as providing evidentiary support, taking stock of methodological concerns, and demonstrating familiarity with current trends in criticism within the field, just to name a few. Those who take seriously critical moves in the field, furthermore, might see the dialogical self-consciousness and an attention to structures to be shared primary interests for critical theory and contemporary pedagogy. All too often, and problematically, the competencies applied in scholarship are separated from teaching. Research is seen as “real work” (e.g., publications and conference papers) and, for many, teaching merely serves those practical ends. With this problematic dichotomy in mind, the publishing of The Norton Anthology of World Religions (NAWR) is sadly not surprising in the year 2015. When critical scholarship is withheld from pedagogical tools (like an anthology), the demonstrable lack of scholarly competency and disciplinary aptitude in Jack Miles’ preface and introduction to the NAWR remains unremarkable (particularly since he claims to address religious studies undergraduates and their professors). Miles not only presents the NAWR as a means by which “international world religions should be allowed to speak to you in their own words” (Miles 2015: li) but he also prescribes—as supposedly prior to theoretical commitments—the method of “secular, neutral comparative study of religion” (41) through the “fine art of page flipping” (lvii) as the original and best practice for the study of religion. Miles’ failures as a critic and as a pedagogue merely reflect the presumption that students need only interact with the superstructures of higher education and not be let in on the processes that create scholarship. This essay will outline this problematic vis-à-vis the preface and introduction to the NAWR in order to highlight the role a critical study of religion should play in our teaching. 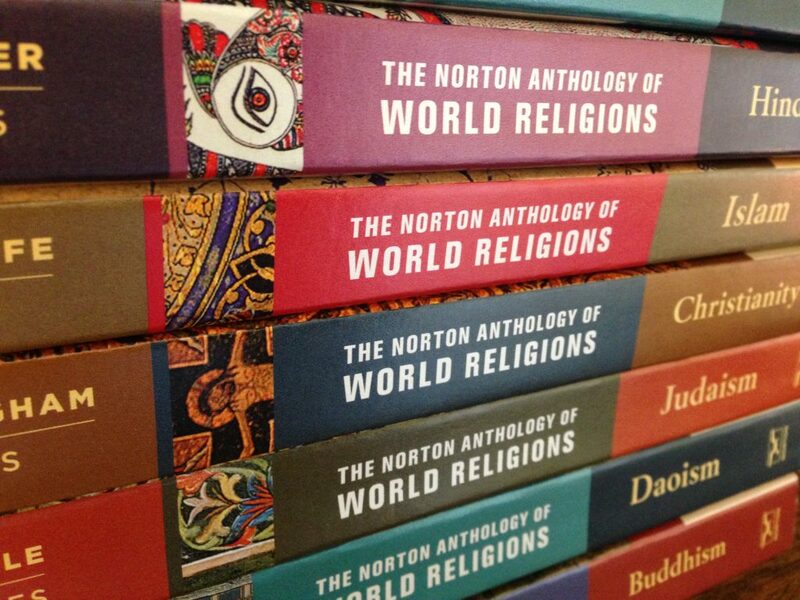 The publication of The Norton Anthology of World Religions and the subsequent massive free exam copy mailing campaign by W. W. Norton requires an explanation. Why does the field of religious studies need such an anthology? What has led us to the place where such an anthology even makes sense? This essay examines the explanations General Editor Jack Miles gives for why The Norton Anthology of World Religions arrived in faculty mailboxes all over the country in the spring of 2015. This entry was posted in Faculty Blog, Public Events, Relevance of Humanities, Religion in Culture and tagged #RELResearch, journals, Merinda Simmons, method and theory in the study of religion, Michael Altman, Nathan Loewen, norton anthology of world religions, publications, teaching, world religion by admin. Bookmark the permalink.